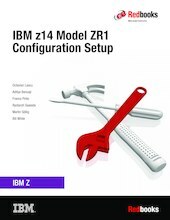 This IBM® Redbooks® publication helps you install, configure, and maintain the IBM z14 Model ZR1. The z14 ZR1 (Machine Type 3907) offers new functions that require a comprehensive understanding of the available configuration options. This book presents configuration setup scenarios, and describes implementation examples in detail. This publication is intended for systems engineers, hardware planners, and anyone who needs to understand IBM Z configuration and implementation. Readers should be generally familiar with current IBM Z technology and terminology. For more information about the functions of the z14 ZR1, see IBM z14 Technical Introduction, SG24-8450 and IBM z14 ZR1 Technical Guide, SG24-8651.